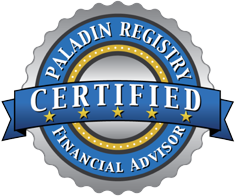 Download our Guide, "How to Select the Best Financial Advisor for your Retirement Planning Needs"
Hiring the right financial professional to oversee your life’s savings is one of the most important decisions you can make. It could be the difference between living your retirement years as you hoped and planned, or having to downsize your lifestyle or go back to work to ensure that your sources of income will last as long you do. Our complimentary guide will help guide you through the process of hiring the right financial advisor for your specific needs. Are you using an objective process to select a financial advisor? Read our eBook for important tips you can use.